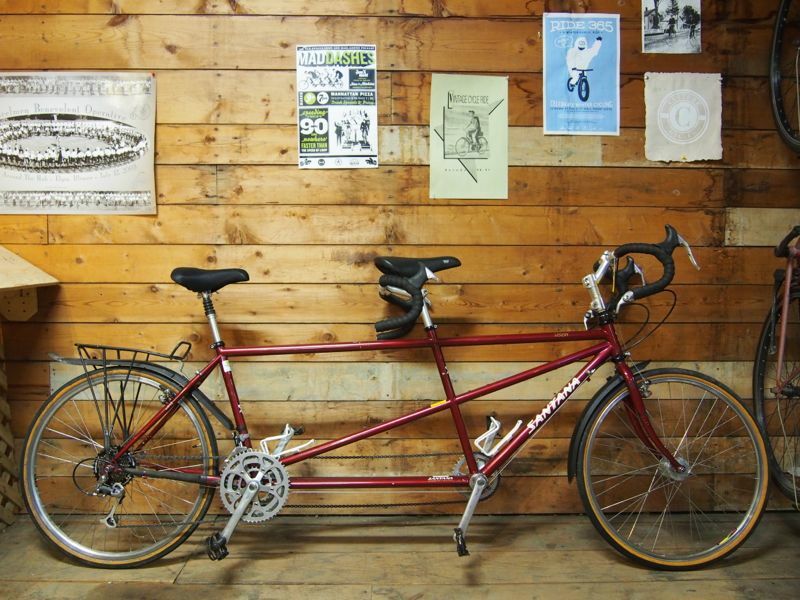 We were pretty psyched to get our hands on this solid Santana tandem. Santanas are really quality tandems for a good price. This is a great bike for the duo that's interested in touring and longer rides, but doesn't want to break the bank. Fully refurbished and ready to ride with a season guaranty and a free 30-day check up.